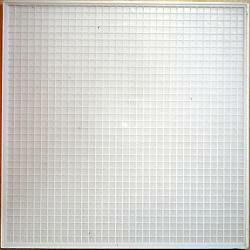 USE GRID WITH 8MM ECO TILE TO MAKE MOSAIC PATTERNS AND DESIGNS WITH PERFECT GROUT LINES! A BIG TIME SAVER. AFTER YOUR DESIGN IS COMPLETE USE OUR TILE TAPE OR MOSAIC MOUNT SHEETS AND PLACE OVER THE FRONT OF THE TILES, LIFT YOUR TILES OUT AND INSTALL INTO YOUR ADHESIVE. YOUR DESIGN WILL BE KEPT TOGETHER AND IN LINE. 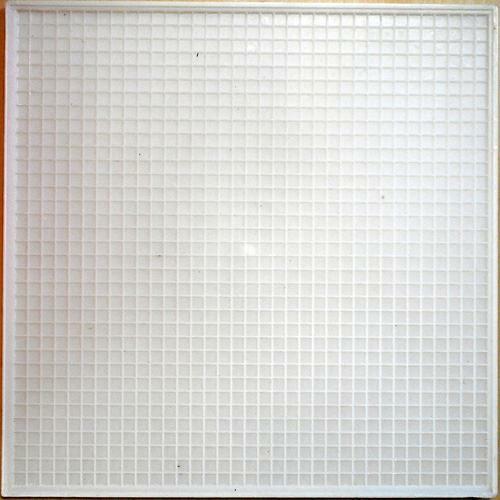 THE FLAT SURFACE ALLOWS YOU TO USE ECO TILES. NOT FOR USE WITH TILES THAT HAVE A BEVEL ON THE BACK.